As a yoga teacher, this question may cross your mind as you become more engrossed in the practice and all of its elements. Let me ask this… Is there one aspect of the practice you know inside and out? Perhaps you’re known for inversions or understanding the yamas and niyamas. Maybe giving adjustments or creating a creative flow is your specialty. 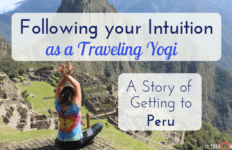 Why Lead a Yoga Workshop? 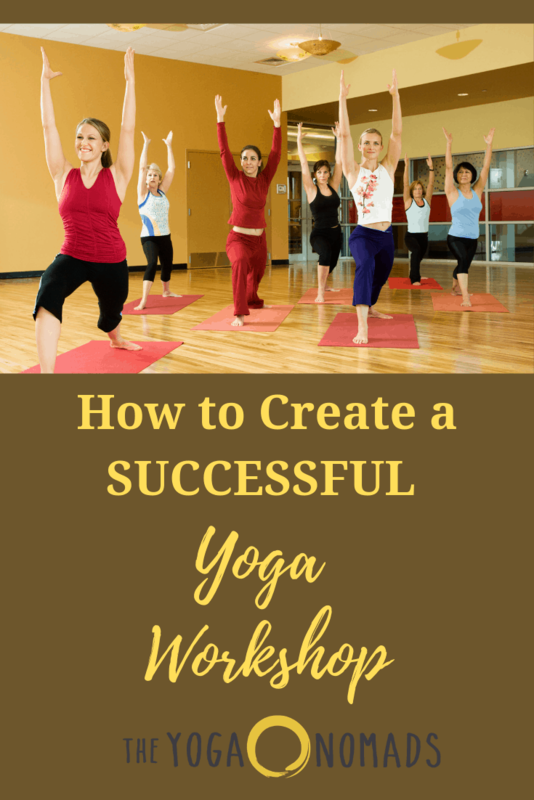 With all the different types of yoga classes out there, why are workshops valuable? Workshops are a great way to break down certain concepts, postures or themes. 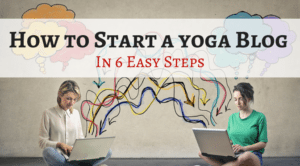 A standard yoga class follows a typical (somewhat rigid) structure whereas a workshop has the luxury to go DEEP into a specific topic such as arm balances, backbends, etc. If you excel at teaching or performing certain postures, have desire to share this knowledge with your students, AND have a good marketing strategy, then leading a workshop is for you. Leading workshops can be a great way to earn additional income! Who doesn’t want to earn a little more money doing things they love? Later I’ll touch on marketing strategies and how much you can expect to earn from teaching your own workshops. Okay, but am I ready? You have a sincere desire to lead a workshop, but still have doubts if you’re ready. Now that you’re certain you are ready to lead a workshop, you’ll need to choose a topic. 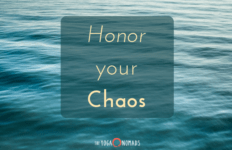 Outside of asana practice, what else do I enjoy about yoga (philosophy, meditation, etc.) and how can I relate that back to a physical yoga practice? Are other people interested in this topic? Will they actually pay to learn XYZ? Also, listen to what your students are saying. Is there something they are itching to learn that you think you can teach them but perhaps need more time to do so than in a normal class? Or is there something they love about the way you teach that you think you can expand upon in a workshop? These are great ways to extract ideas for your workshop. Protip: there are a million yoga event ideas… being successful is less about the idea and more about the execution. Plan strategically, listen to your students, and work hard! In my book, it’s better to over plan than under plan. Have more tools in your belt that you need. You may start an advanced handstand workshop and realize the group is not ready and you need to backtrack the foundation a little bit. Or perhaps they are more advanced and you can teach them additional transitions as a bonus. Either way, have some structure so you can find the flow. 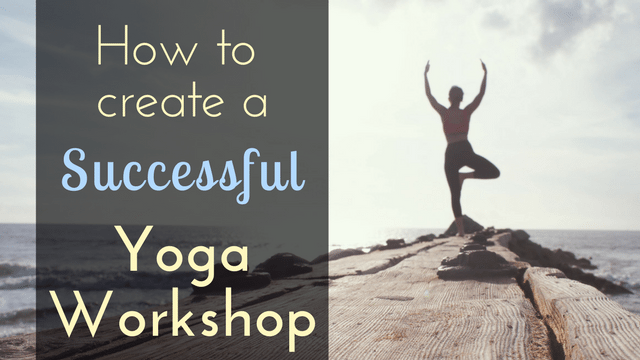 This a standard beginner yoga workshop outline which will work for pretty much any workshop. However, don’t feel constrained to follow this exactly or at all. Props, materials, assistants, oh my! Consider what additional materials you can use to supplement your class. Do you have a worksheet to give to each student where they can continue what they learned? Are there any props you will need to bring to the studio? Do you need a white board / easel or any other presentation props? Do you need an assistant? Tip! Collaborate with another teacher. Partnering up with another yoga instructor is great way to get started with workshops. Ideally you would partner with a teacher who has already run a workshop. This is a great way to minimize your risks (split studio fees, both teachers spend time marketing, etc). If you have a fellow instructor that you vibe with, see if there is something unique you both can bring to the table and collaborate on. 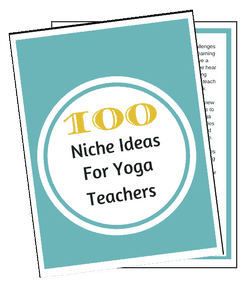 For example, partner yoga and acro-yoga are obvious ones where team teaching can work, but other examples could be taking turns demo-ing, spotting, cueing, and adjusting poses throughout a workshop. The upside is that people already know you, you may even get some new students from other classes, and marketing will likely be easier as the studio MAY help with things like flyers and promotion (although at the end of the day, the studio will expect you to do your own marketing). 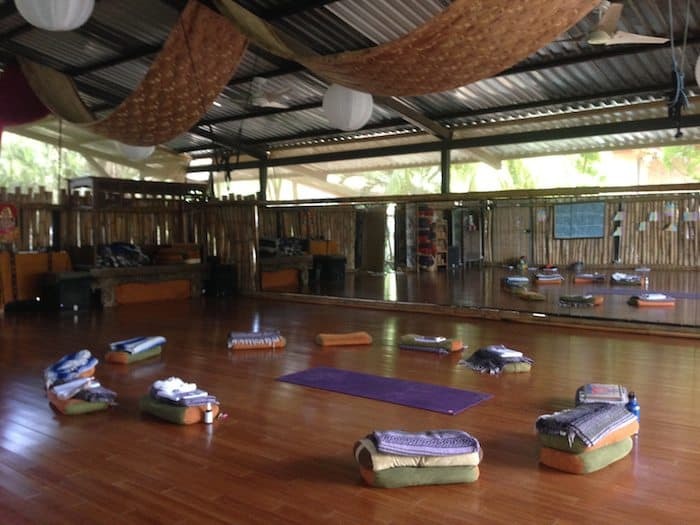 Using other venues such as another yoga studio or movement-oriented space you could rent is another option, however, they both come with their ups and downs. For both, you will be 100% in charge of marketing. Highly recommended that you have a website + email list + active socials before attempting a workshop at a 3rd party venue. Will you be renting the space or is it a percentage split? Rental fees are usually dependent on the area. Percentage splits are typically 70/30 or 60/40, with the majority going to you. Is there an existing clientele of the venue you can market to? If so, what are their class numbers like or how popular is the venue? Will the venue help you promote it? Is the space big enough, does it have the props you need or anything special that is specific to what you are teaching? Is the venue in a good location that is accessible? Is there adequate parking? 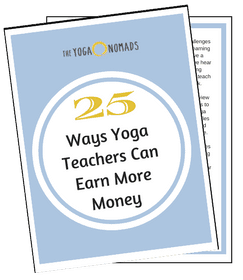 The details yoga teachers dread! 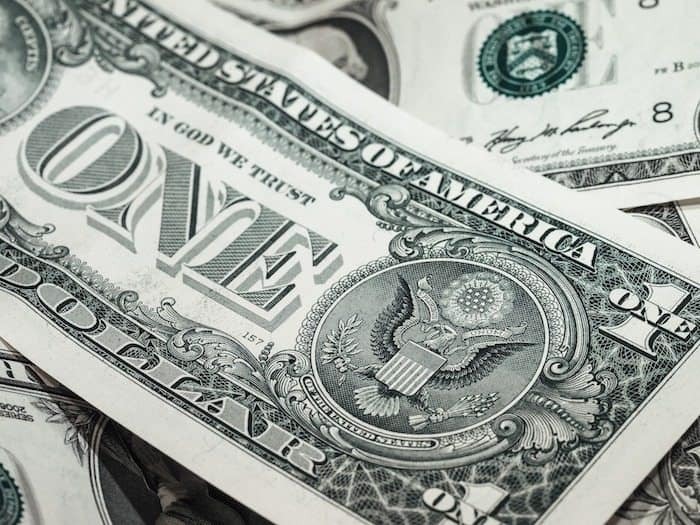 How much should you charge? How many people need to come? What is best day of the week and time do this workshop? Weekends are generally the right choice. How long will your workshop be? Depending on the topic, they are usually longer than typical classes, but no longer than 3 hours without a break. How many hours is the workshop? How many people do you need to come to break even and make a profit? Your goal should be to AT LEAST break-even with signups before the event even starts. This means you’re offering an early bird discount and marketing it like crazy leading up to the event. Demonstrate “social proof” – when people sign up, ask them if you can use their name/picture to use in your marketing. Social proof inspires others to sign up. (example social media update with a picture of sally: “Sally from Minneapolis just signed up. She’s been practicing yoga for 3 years and her favorite posture is crow pose”). Design a flyer and hang them in the venue and at nearby coffee shops, etc. But, can I get paid well teaching workshops? This is a question that causes a lot of fear in teachers and many stop in their tracks right here because they are afraid of the risk. What if I put all this work in and no one comes? Unfortunately, sometimes this does happen. But other times, the rewards are worth the risk on more than levels than just financial. Although your piggy bank will be happy, too. In the beginning, you may have to build your marketing and workshop skills for them to become successful. Aka don’t be discouraged if your first workshop doesn’t go 100% as planned. Consider your overhead and the level of interest first and foremost. Have people expressed interest to you? How many? Consider how many people have expressed interest. Say that number is 4. Do you think you can get 4 more people to sign up? If so, set your rate according to that number of people as a minimum. 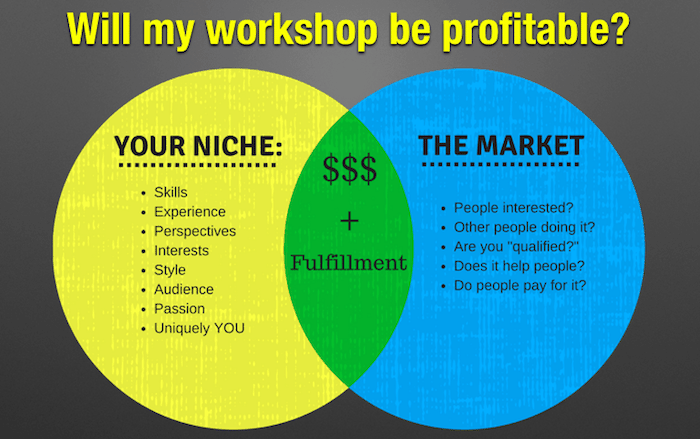 If you’re successfully filling up your workshops, they can be a nice income bump each month. Before committing to a workshop, be mindful of your travel expenses and what your marketing budget is. You want to add those factors in to ensure you’ll still make a profit. As always, don’t sell yourself short and remember your value. What are the most popular yoga workshops? Before we answer that it’s important to consider: Is it better to go after a “popular” topic what will likely be covered by many different teachers and workshops in your city… or is it better to pick a more unique topic that fewer teachers will cover but less total potential customers? I personally think going as niche as you can without alienating your entire student base is the way to go. 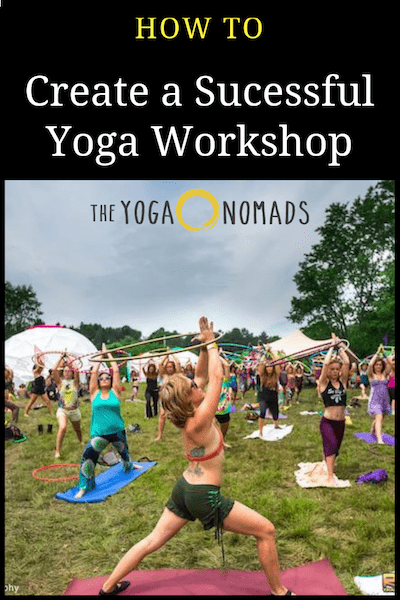 Related question: what are the best yoga workshop topics? There aren’t really “best” workshops for everyone. However if I HAD to choose a “best workshop” I would say a Beginners Yoga Workshop. There are more beginners than anyone else. Beginners are often scared to go to the studio so make sure you make it very very beginner friendly. What should I name my workshop? For some reason we all get hung up on yoga workshop names. The reality is, your name just needs to be “good enough.” Pick a name and move on to more important tasks like marketing your retreat. Good names should be straight forward enough so anyone can read it and immediately know what it’s about. Don’t name it something cute with an alliteration that makes people confused. If you wan to add some eccentric prose in your workshop name, consider having a title and a sub heading. What should I put for my yoga workshop description? Again, don’t be too cute here. Make sure your potential students have a clear understanding of what they’re getting themselves into. You can make it playful but don’t be clear about what you’re going to cover. Pro tip: to reduce any fears, you can add a little disclaimer saying something like “everything in the workshop is optional.” This may put some students at ease, especially if you’re teaching a more advanced topic or something a bit more edgy like Tantra Yoga. The potential with workshops is limitless once you become comfortable teaching them. As soon as you have a few under your belt, you could even try expanding your network to do little mini-tours to other studios or venues around your area. 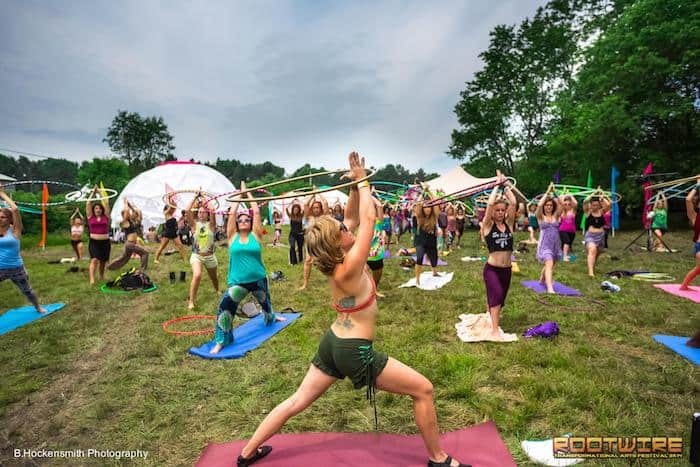 Another fun and exciting way to teach workshops is to offer them at yoga and music festivals, too! 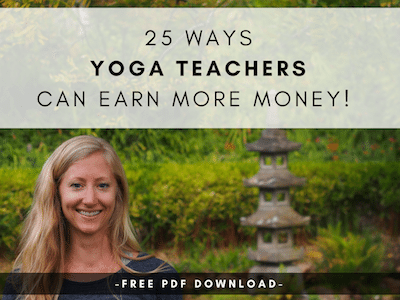 In the end, there is no right or wrong way to teach your yoga workshops, but there are steps you can take along the way to ensure they are as wildly successful as your heart desires! 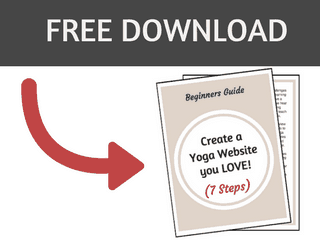 Download our beginners guide to Creating a Yoga Website! 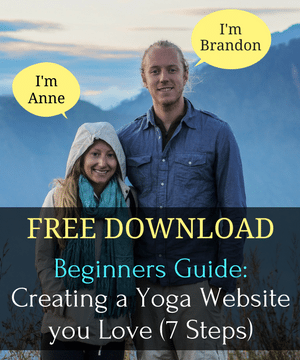 We’re offering this free download so yoga teachers like yourself can understand what it takes to create a website of your own! If you want to create a successful workshop… having a website will help out your marketing a ton! The guide is free and you can instantly download it to your computer. 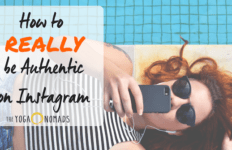 Did you enjoy this article? Pin me!